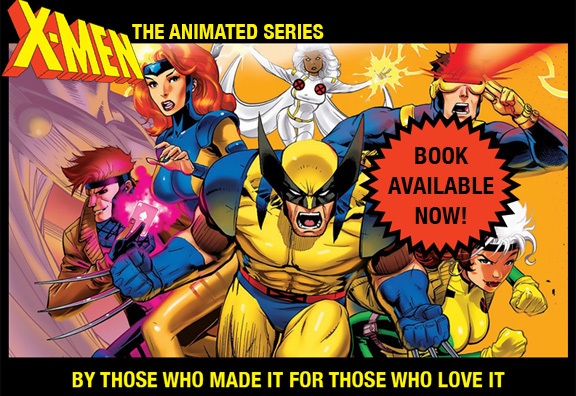 X-MEN:TAS has a complex relationship with the many series of X-MEN comic books that we respectfully mined as source material. Many fans have made lists of the connections they see, where adaptions may have been made from book to screen. Some are easy: the “Phoenix” sagas and “Days of Future Past” were direct, intentional, adaptations of well-known comics stories. Few others were. I had no agenda in adapting or not adapting stories from the books. Some of the TV writers knew and loved the books; others didn’t know them at all. There was only one rule for choosing which stories got made: which would play the best in series TV animation. The result was that only a handful of stories, like “Days,” originated with a writer saying: “We gotta do the —– book!” Far more often a writer would have a character or idea from a book, or of his or her own, and we built an original TV story from there, using names and places and characters from the books to suit our stories. Or in today’s case — the four-part “Beyond Good and Evil” — an original story was “tied in” to the Marvel Universe, late in the process, by the cameo appearance at the end by an established comics character. Writer Mark Edens created a new character, BENDER, a Robin-Williams-like, Lear-foolish jester, to hold the time-bending story together. Super-fan producer Larry Houston came up with the tag at the end, where Bender morphs into Immortus, an appropriately larger-than life Marvel character. Fans might imagine that Mark and I were trying to tell an Immortus story from the beginning. We weren’t. But Larry’s insertion of Immortus was a perfect example of X-MEN:TAS bringing the Marvel Universe into our stories in every way we could.